PV Sindhu brought laurels to India along with her silver medal in the Olympics in 2016. 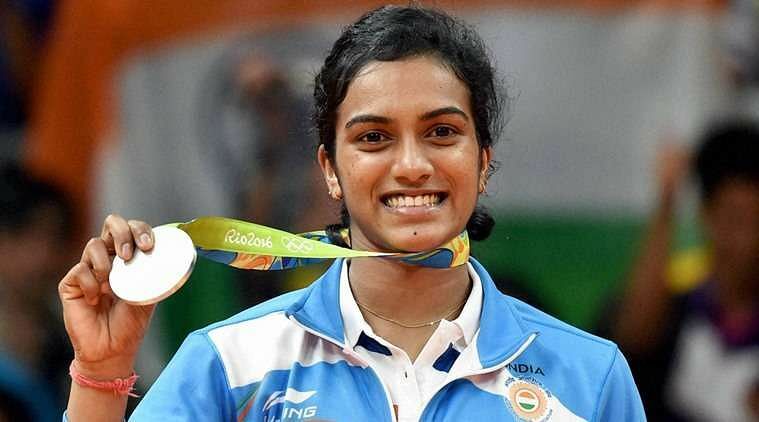 Even in the World Badminton Championships in Glasgow, Scotland, Sindhu has assured India of a silver medal after defeating Chen Yufei with a straight game win over on Saturday. India’s spirits rose after Sindhu’s win which had somewhat simmered down after Saina Nehwal’s heartbreaking loss to Japan’s Nozomi Okuhara. She is all set to play in the finals aiming for the title of World Badminton Champion. Her match is set to be played from 6:30 pm IST today. Supporters took to Twitter to wish PV Sindhu the best of luck. India has won medals at the World Championships before but today will be the first time that India will win two medals owing to Sindhu and Nehwal both being in the semi-finals. Today’s medal would be a third for Sindhu, previous medals being in the 2013 and 2014 editions. She has also become the second Indian to reach the finals, Saina Nehwal being the first to reach the finals last year at Jakarta. Winning against Chen Yufei with a 21-13 and 21-10 straight win, Sindhu will take on Nozomi Okuhara, previously beating her thrice and also losing to her an equal number of times. In the last two matches against the Japanese, the Indian had the upper hand at the Rio Olympics and Singapore Open in 2017. The Japanese candidate became the first Japanese to reach the finals of the World Badminton Championships in the last 40 years. India has their hopes pinned on PV Sindhu winning the finals. The finals will broadcast live on Star Sports 1/1 HD and will also stream online on Hotstar and the official YouTube channel of the Badminton World Federation. When asked if a silver would suffice, she said that it would not be enough and she has her focus on the gold medal, wanting a change in the colour of her medals. She has previously won bronze medals in 2013 and 2014 editions of the World Badminton Championship and a silver medal in the Olympics.